In the last week of the recent school holidays I, along with 5 other secondary staff, attended ULearn15. This annual conference, hosted by Core Education, is arguably the preeminent IT in education conference in New Zealand. This year it was held once again in Auckland – although I must admit to being excited at the possibility of it returning to Christchurch once a suitable post-earthquake venue is finally built! The clear thematic structure of the conference proved to be a very powerful aspect of ULearn, as it enable more clarification of the exact content of breakouts, and also allowed delegates to focus on one particular area of interest, if they wished. A feature of uLearn is always the engaging Keynote speakers, and this year we were treated to three extremely engaging keynote presentations. “harder to change if we have been going well in the past. Change is Hard, but not in schools – its uncomfortable” . 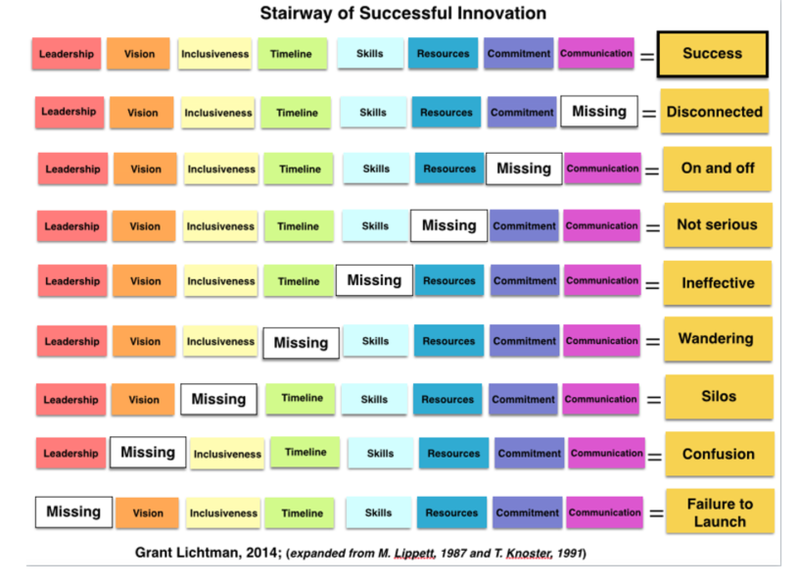 A final resource that Grant referred to is the Stairway of Successful innovation. I found this resource particularly interesting as it allowed me to reflect on the changes that I am leading here at school and allowed me to reflect on the success of their implementation. The final keynote address of the conference was particularly inspiring. Pat Snedden, the Chair of Manaiakalani Education Trust, took delegates on a journey describing the origins, current successes and future of this important trust which aims to improve educational outcomes for children in some of New Zealand’s most socio-economically disadvantaged communities. I had previously heard the story of this trust – but this presentation gave me a fuller understanding of the outstanding work that this group has done, and importantly their plans to help children in similar circumstances around New Zealand to enjoy the benefits accrued by this simply inspiring Trust. The most crucial element of a delegates enjoyment and learning from a conference such as this, is the range of breakouts that you attend. This year I made a conscious effort to be on-the-ball regarding the opening of breakouts – to ensure that I got all my top choices, which I did. Across the three days I attended 7 different Breakout sessions. All of these sessions were extremely well organised, interesting, and relevant to both my role here at St Andrew’s College, and the future direction of education in New Zealand. One particularly interesting session was presented by Westley Field, an Australian educator. He initially reflected on the importance for a school to have a clear school-wide pedagogy; one that all staff can buy into. He continued, to speak about the importance of student well-being as a catalyst for academic success, and the implications that this has for schools. To read more about Ms Yuill-Proctor’s experiences at ULearn, check out her blog. Part of the St Andrew’s College delegation enjoying some important social time at the uLearn Dinner. Attending ULearn is always extremely interesting and worthwhile; I was very impressed with ULearn15. After three years of non-attendance, I was glad to see that the conference appears to be re-energised, and this has definitely rubbed off on me. All attendees from our school found it an extremely engaging and motivating three days. Moving forward I have learnt a great deal about managing change within my job, and more importantly, supporting staff to engage more proactively with this process of change. As usual uLearn was heavily tweeted by delegates – feel free to follow me. 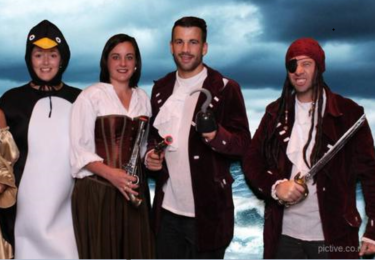 To catch up on the conference, check out archive tweets from @uLearnNZ or #ulearn15. This entry was posted in eLearning, Technology and tagged eLearning, Information and communication technologies in education, Pedagogy, Professional Development, Secondary School, St Andrew's College, Technology, Training, ULearn by Tom Adams. Bookmark the permalink.